60x60cm. & Bigger There are 34 products. 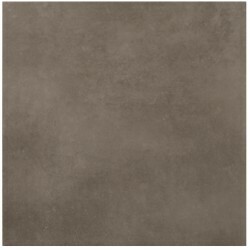 Indoor & Outdoor Porcelain floor tiles Ava Evenig Grey 61X61, COM quality. Gloss finish. Price per m². Porcelain floor/wall tiles Avenue Snow 30x60cm. COM Quality. Matt Finish. Price per m². Indoor & Outdoor Porcelain floor tiles Buxy H 61,5X61,5, COM quality. Matt finish. Price per m². Indoor & Outdoor Porcelain floor tiles Fusion G 91,5x91,5cm. COM quality. Matt finish. Price per m². Ceramic floor tiles Galia Grafito 60X60cm, COM quality. Matt finish. Price per m². Indoor & Outdoor Porcelain floor tiles Lion Lux Gris 60X60, COM quality. Satin finish. Price per m². Ceramic floor tiles Memory 60X60cm, COM quality. Shiny finish. Price per m². Ceramic floor tiles Corten Perla 60X60cm, COM quality. Matt finish. Anti-Slip. Price per m². Ceramic floor tiles Revival Natural 60X60cm, COM quality. Matt finish. Price per m². Ceramic floor tiles Santorini Beige 60X60cm, COM quality. Gloss finish. Price per m².